Matte is big again this fall. No complaints here, I adore mattes. Well, the shimmery matte more so than the flat matte. 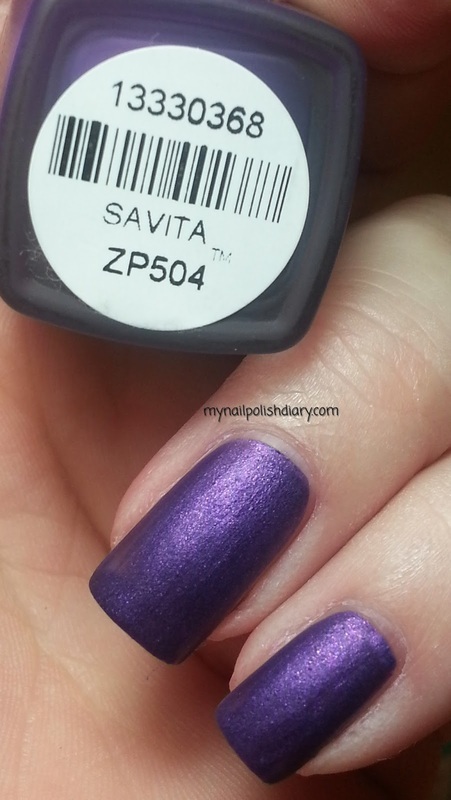 Zoya Savita was released in the winter 2009 Matte collection. It's been discontinued, sadly. 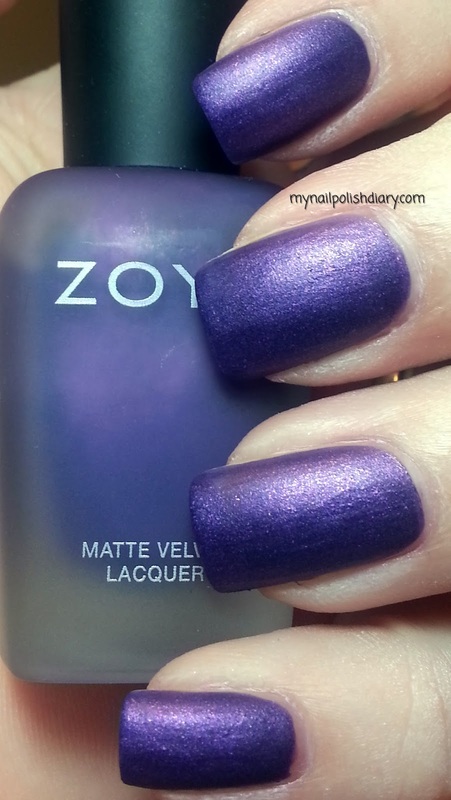 It is what Zoya calls matte velvet and it's gorgeous. It's an eggplant purple with silvery shimmer. I LOVE Zoya velvet finish. It makes me so happy when I wear them. I only have three of them and I'd love to own the other three. Hopefully some day I will. When I wear these I do my usual basecoat and treatment then a coat of SV to dry it all. Then I do two coats of the Zoya matte. It takes longer to chip this way. You can just skip the base coat and wear the polish alone if you prefer, but I don't put color on my bare nails ever. Edited to add OMG Zoya just announced they're going to re-relese the Mattes!!!!! You can pre-order them tomorrow 11-08-2013 online only here. I should try your base coat idea on these because I can't stand how quickly they chip! It's a beautiful polish though. Hey there! It really helps a lot. Let me know how it goes!